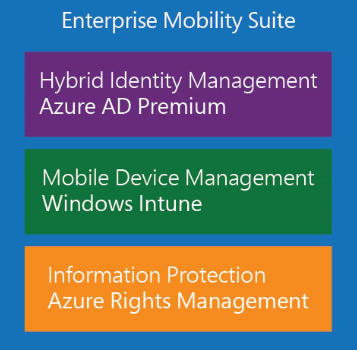 Excellerate your BYOD deployment with Microsoft Enterprise Mobility Suite! With raising the dust of TechEd 2014 North America we gained many new insights which all are in line with Microsoft’s “Mobile First – Cloud First” vision. Witnessed the presence of the Enterprise Management Suite (EMS) which came a cross to all BYOD-, Hybrid Identity- and Enterpris Mobility Management sessions.